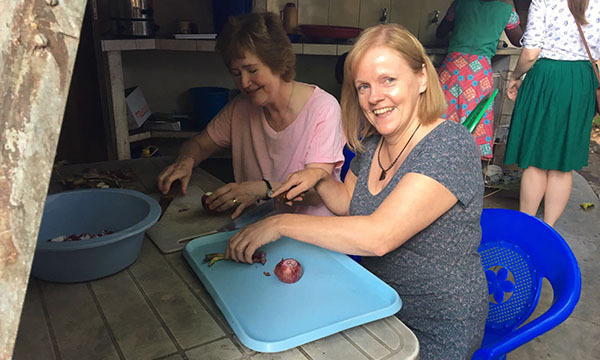 Tracey Hinde from Leicester’s Loros hospice travelled to Malawi to see first-hand the difficulties her counterparts face in providing palliative care services. The heat hit me as soon as I stepped off the plane. My colleagues, Rose and Celia and I had flown 24 hours from the UK to Malawi, Africa, via three connections and we were relieved the bags of medical supplies, clothes and stationery had arrived safely with us. We were the trio of nurses from the Leicester Organisation for the Relief of Suffering (Loros) selected to visit Ndi Moyo, a hospice in Malawi that we twinned with last year with support from a generous gift left in a will. Ndi Moyo is privately run with an annual income of £170,000 and no government financial support. Ndi Moyo has ten employees – we at Loros have 300-plus – but they support at least 1,000 more patients than Loros every year. 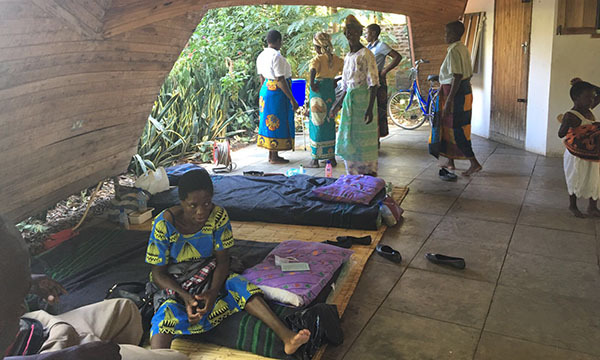 Our aim over eight days had been to see how this hospice in Malawi was developing its palliative care services, while exploring how our two organisations could benefit one another. Ndi Moyo supports 4,000 terminally ill patients every year. Although they don’t have an inpatient unit, they have an outpatient facility, visit people in the community and invite families to their day centre. The conditions people lived in were distressing, with many using the living room in their straw-roofed huts to store home-grown crops, either to sell or for themselves. We visited many patients and it was heartbreaking to see the conditions in which they were suffering. The ‘lucky’ ones slept on mats, while others lay on the floor. But they were happy to see us; clearly a visit from the Ndi Moyo staff was something they looked forward to. The community team often visits patients and their families unannounced to assess their living conditions, mainly to ensure their children aren't suffering. Some patients also need to be transported to the district hospital for their chemotherapy. The conditions in the hospital were heartbreaking – some beds had no mattresses and critically ill patients lay on just the bedframe. The low nurse numbers in the hospital meant that, in most cases, relatives were caring for patients. The nurses’ station was also basic, with an overflowing bin under the desk. I couldn’t help but think how horrified the infection prevention staff at Loros would be to see rubbish spilling over the bin, metres away from patients. The emotion was overwhelming; a mixture of sadness and disbelief, as well as gratefulness for the conditions back at Loros. Our final glimpse of hospice life in Malawi was in the Ndi Moyo hospice day centre. Patients are invited to spend the day in a dome-like building under the trees, with its straw roof, but no doors, walls or windows, to allow a cooling breeze to pass through. The patients can bring their children along, make jewellery, play games, have their toenails painted and watch TV. As we painted toenail after toenail, which the female patients loved, I reflected on my visit and thought our two workplaces were more similar than I had imagined. The passion and ethos of the team in Malawi is the same, the reason behind the work they do is the same – and their goals are the same: they want to make life as comfortable as they can for their patients, much like Loros. We had offered them advice, but had learned much in return. Ndi Moyo hospice makes the most of everything it has and takes nothing for granted. What I saw out there will stay with me forever and I feel so grateful for having had the opportunity to see the work the hospice does. It was an unforgettable experience.